Looking for improved health or athletic performance? A body composition test is the perfect tool! You can track overall fat loss and muscle gain easily and accurately. Track muscle gains at specific body sites over time. Accurately estimate calorie needs, which is important for fueling exercise and sport. Go beyond the typical body composition scan–get more than just your body fat percentage. 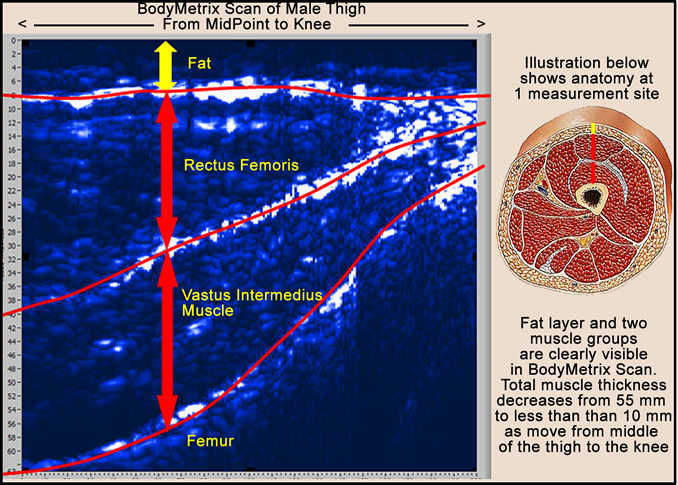 See actual fat and muscle layers and how they change over time with nutrition and exercise interventions. 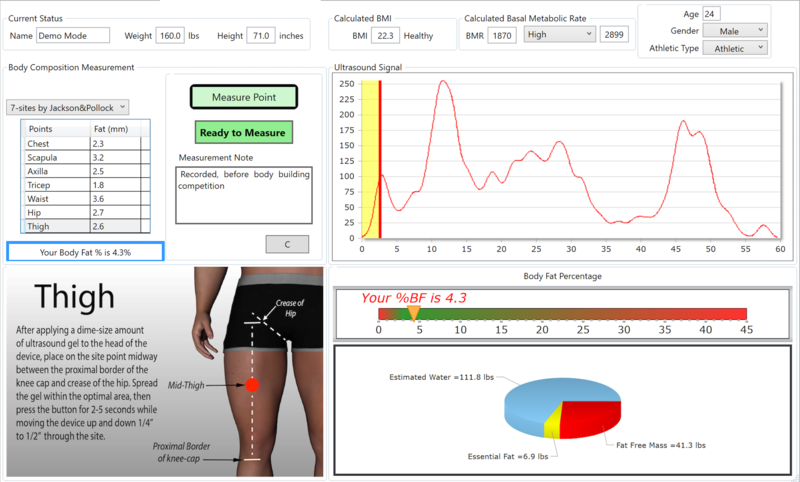 Real Nutrition uses the BodyMetrix ultrasound machine for body composition assessments. This technique is well-researched in scientific literature and is comparable in accuracy to DEXA and BodPod methods. BodyMetrix can be more accurate than bioelectric impedance methods (these are hand-held devices, scales, and InBody and Seca machines that send an electric current through your body), and you don’t have to consider hydration status or be fasting to get an accurate reading. Schedule a scan by selecting the appointment option below. Come to the appointment in shorts and a short-sleeved shirt or tank top. Scanning each body site takes anywhere from 15-25 minutes, depending on how many sites need to be used (typical sites are thigh, bicep, tricep, stomach, top of hip, and back). The procedure is painless and easy. You will get your results at the appointment, either emailed or printed or both, depending on your preference. Get on the road to better health and performance today! Look at the cool data you’ll receive! This makes it easier to understand your body, track progress, and make meaningful goals. Contact me for details at dietitian@realnutritionrdn.com.